An Iranian political analyst says both opponents and proponents of the Iran nuclear deal aim to overthrow the Islamic Republic’s ruling establishment. Foad Izadi has, in an interview with the Persian-language Fars News Agency, weighed in on the circumstances surrounding the Iran nuclear deal as the world keeps waiting to see whether or not US President Donald Trump will extend the waivers on Iran sanctions on May 12, 2018. He has expressed his views on Trump’s possible withdrawal from the JCPOA and the good-cop bad-cop game that Washington is playing with the West over the nuclear deal. He said there are some Europeans and others in the United States who advocate the JCPOA such as Dennis Rice, who is a Zionist, but would like Washington to stay in the agreement. “This group says if the US leaves the JCPOA, there may be no better deal available,” said the analyst. He said they are arguing that Trump should not be worried about the restrictions which, under the deal, will remain on Iran until 2020-2025. “What Emmanuel Macron and others are saying is that we can stay in the JCPOA until 2020-2025, and after that we will pull out of it all together because withdrawal at this point in time is not justifiable,” the commentator said. He further noted that supporters of the JCPOA believe sanctions can be slapped on Iran when it comes to the missile issue and the Middle East region, so there is no need to dismantle or leave the JCPOA. On the other hand, the analyst said, there is a group who are in the minority and include some of Trump’s associates. This group says they needn’t wait until 2020-2025, and that they can topple the Islamic Republic of Iran by 2019 or 2020 if they put pressure on the country, said Izadi. “So, they say they should withdraw from the JCPOA and increase pressure, but if that does not lead to the overthrow [of the Iranian government], it will weaken the country, and hence, we can gain better concessions from Iran and bring it back to the negotiating table,” said the commentator. “This time, we will not act as we did during the Obama administration when we specifically focused on the nuclear issue; rather, we will work on the issue of missiles and the region and will gain concessions in those domains, as well,” he said. The analyst noted that the concessions they have gained from the JCPOA have made them interested to get more. “A regional JCPOA would mean we can give sweeping concessions in the region as we did in the JCPOA,” he said. Izadi reiterated that Trump now has to decide whether or not to leave the Iran nuclear deal and is on the horns of a dilemma. “As for the good-cop bad-cop issue, we can say that Mr. Macron has become the good cop and calls for staying in the JCPOA. Some others, who are in the minority, call for pulling out of the agreement. However, the objective of both groups is to put pressure and sanctions on Iran, and they are only divided on one issue. The second group believes it is possible to topple the Islamic Republic of Iran’s ruling system more quickly. 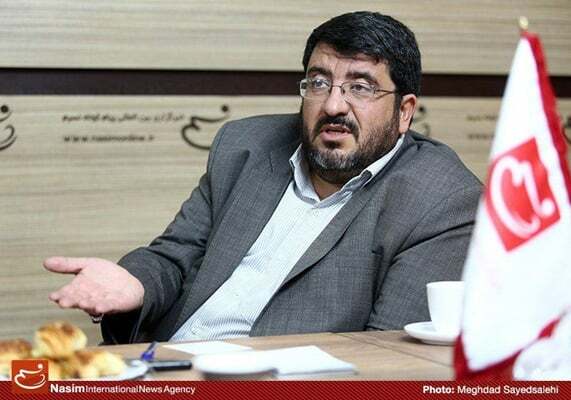 But the first group is of the opinion that it is not clear whether or not it would be possible to overthrow the Islamic Republic of Iran, so it is better to keep the JCPOA because there may be no better deal if we withdraw from it,” Izadi said. “But if he wants to pull out, there will be a hard and a soft withdrawal,” he said.